MacGyver is called out to sea to defuse some bombs on a cruise ship. One of the bombs goes off, killing his friend and bomb squad partner. He needs the help of the interim captain to defuse the other two bombs. The last three minutes are very exciting with the bomb rearming itself after they thought it was defused. And then the confrontation with Donahue on the phone is awesome. "Pull the blue!" ~Donahue. "Thanks a lot Donahue, I'm pulling the yellow." ~MacGyver. And then MacGyver gives the yellow button a little kiss. Great stuff, even if it's the longest 10 seconds that ever was. The scene where Charlie's bomb goes off is difficult to watch even when you know what's coming. Puts milk and oven cleaner in a pastry tube to make a neutralizing agent. Squirts the mixture into the acid tubes. We open things up on the high seas, on a cruise ship in the North Pacific. Because really, who wouldn't want to go on a cruise off the coast of Siberia during typhoon season? A bomb goes off on the ship and kills the captain, but we're told it's a small bomb and a warning of things to come in the form of bigger bombs on board. Apparently the passengers aren't too concerned as they're still comfortably milling around the ship. The intro now takes a great turn to MacGyver hanging out on the balcony and drinking some orange juice while wearing a University of Minnesota sweatshirt. He starts taking about Susan, his "pal" who is also the landlady, building maintenance person, and the only person who can keep him organized. Why does MacGyver need a maintenance person - shouldn't he be the maintenance person? 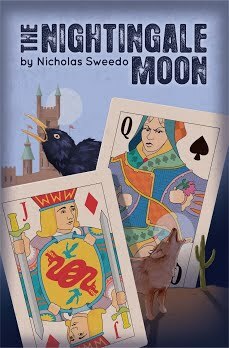 Last time we saw Susan in Flame's End, MacGyver was schooling her in a game of table hockey and trying to impress with a terrible Canadian accent. This time, MacGyver is making her a "21st century breakfast" with his robot, Roberta. Unfortunately we're well into the 21st century and my breakfasts are not as cool as this. And unfortunately for MacGyver, Roberta drops the egg on Susan's foot. But Susan doesn't mind because she's awesome - who needs Lisa Kohler when you've got Susan! 5:52 mark - in discussions about favorite MacGyver cars, the blue jeep doesn't get mentioned very much. MacGyver meets up with Charlie, his former bomb-defusing partner in Vietnam. I'm not a huge fan of the Vietnam backstory - I'm not sure why, I think it's just that there's something about it that doesn't quite fit with MacGyver's character, and it's never referenced again in the series. And while he certainly defuses his share of bombs throughout the series, I never get the feeling that he's a bomb squad professional like he's portrayed in this episode. It's more like he uses his other knowledge and improvisational skills to save the day at the last second. 8:47 mark - the famous shot of Pete in front of the map. You can clearly see the cruise ship's position right near Siberia. And it's unclear to me why the boat can't turn around away from the typhoon - they make it sound like that's not an option. MacGyver may be a goodie-too-shoes in a lot of areas, but he’s not above getting cozy with the ladies every once in a while. Nevertheless, the thought of my childhood hero shacking up with a local hustler on the streets of Saigon is a bit unsettling. Why does the helicopter pilot start lowering the tools over the ocean? Walks away as the captain looks on in disbelief. 23:34 - the first big bomb has gone off, and the passengers are WAY too calm. Most 70 year-olds I know (any age, actually) aren't going to be all that composed when they learn that their ship has multiple bombs on it. And the ship is still sailing without any trouble after the first bomb went off which means it couldn't have been that big of a bomb. 27:57 - "I gotta admit, I was a little surprised to see you in charge of this whole ship." ~MacGyver. Probably not the best time to doubt the captain as she's seconds away from disarming one of the bombs. If I were in the captain's position, I'd be in big trouble. I need someone holding my hand and showing me exactly what to do when it comes to crafts/activities, and even then I'm terrible. I'd have no chance getting directions like this over a headset. The bomb in front of me wouldn't help either. There's something about when the ladies call him "Mac" that just rubs me the wrong way. That's why I always call him MacGyver - I can't bring myself to call him "Mac" even though it would save some keystrokes at times. 37:13 - cutting off the tube seal (recognizable shot from the song). Why does Donahue care if the bombs go off at the end? He's got his money. And just like that, all the passengers are having fun again in the denouement. Oh wait, I forgot, they hardly ever cared that there were bombs on board. And now the captain is putting some major moves on MacGyver. And given his response about sitting at the captain's table, I think she hooked him. Poor Susan - always the maintenance lady, never the captain. Good episode. Not my favorite, but solid and does the job. Coming up, it's a trip to Season 6 where we're staying in Season 1! Why the crossout? Well, I decided today to re-rank the remaining episodes just for fun without looking at my old rankings. It was fun afterwards to compare the old and new ones - many similarities but a surprising number of differences. I like my new rankings better and will stick with them, though I may change my mind again as it goes on. My top 4 stayed exactly the same while 5-8 shifted around but remained in the 5-8 spots, just in a different order. I could make a strong case for any of the ones in the top 6 as being number 1. And all 7 seasons are represented in my top 11, a testament to the consistency of the series. There's a significant number of fans who rate this as one of the series' best episodes. I wouldn't put it in the top tier but it's a solid episode to be sure. What I like best about it is the attention to detail regarding the sophistication of the bombs, as there was clearly a lot of research going on to get things right in most of these Season 1 episodes whereas they got a little lazy about the science in the later seasons. On the other hand, the writers tended to be a little more lax about the exposition in the early episodes and you'd end up with a cruise ship where two bombs went off in the episode's first half hour yet the passengers were not panicking and had to be "made aware" of the threat posed to them. I get that neither of those bombs were "below the water line" as the third one was and that's why they didn't sink, but still, the comfort level by the passengers was not reasonable. MacGyver's sloppy backstory where he was portrayed as some grizzled Vietnam War veteran also stands out like a sore thumb in this single episode (as did Pete's in "The Human Factor") and seems so out of character looking at the entire series' body of work. Also good catch on how their bomb defusal equipment ended up falling out of the helicopter into the ocean while they careened down from the same hovering helicopter at the same spot and landed square in the middle of the ship. Still, the story unfolded nicely. MacGyver and Charlie had decent chemistry as bomb-defusing partners and I liked how they took advantage of knicknacks on the ship in lieu of their bag of equipment that fell in the ocean. The bombs were very sophisticated and the intensity level was solid throughout the defusal scenes. Viking was a pretty good villain and while the idea of stealing a briefcase full of money from the false back of a locker isn't a new idea in the realm of television and/or cinema, it was handled nicely here. By the standards of this series' female characters, Carol was pretty good and rose to the occasion nicely as Charlie's replacement. And Pete Thornton proved his mettle early in the series' run by collaborating with MacGyver (like you I prefer calling him "MacGyver" to "Mac") through coded language. And the climactic bomb defusal at the end was quite exciting and didn't seem tedious the way that the defusal of Bomb #3 at the end of "The Prometheus Syndrome" did. It's a solid episode throughout and I rank it #44. Interesting to me that you're reconfiguring what's left of your list before you get to the episodes.....and that you have a representative from each season in your top-11. The top tier of my list is definitely more weighted to a few seasons. Glad I'm not the only one who avoids "Mac!" Regarding the list reconfiguration, it was a spur of the moment thing yesterday as I found myself thinking about my #5 episode and thinking it was a little too high (I could at least remember by top 10 without looking back). I shuffled my 5-8 rankings and then thought, why not just redo all of them? I think my perspective is better now that I've watched a bunch, and most of the episodes are in the same general area as before (though there were a few that moved at least 15 spots either up or down which surprised me). On some of them it's very hard for me to choose between them and so if I did it again today, it would likely be different again from yesterday. I'm curious to see if your hunch is right about what my #140 is. I suspect your guess might be correct. You MIGHT be more surprised by my #1 though. I have a few guesses for your #1 but they're just guesses. I know you love Season 4. But even after all these episodes, I don't always have a good read on guessing your rankings (e.g. would have guessed you would have had Squeeze Play and Collision Course high and Human Factor and Lost Love low). But other times I guess your rankings about right. An exciting season 1 episode with the right amount of MacGyver swagger but even more of his trademark composure under pressure. I originally watched a lot of episodes out of sequence including this one where the 'Nam vet backstory came as something of a surprise but works well here even if it jars with the rest of the series. I agree that MacGyver and Charlie make a good team and its a shock when the latter is blown up. It's hard to tell if Susan is a romantic interest or not - how often would you make breakfast for someone who is just a 'pal'? MacGyver's in super-competent mode in this one with questions such as 'What's the threat assessment?' The de fusing of the massively complicated bomb is full of tension and suspense, Carol's a cool customer and the science is interesting and inventive. Minor details I liked; Susan throwing the eggy sponge at MacGyver, the 'Don't slam the door' sign in the helicopter, MacGyver saying 'It's just you and me' to the bomb with a gleam of excitement in his eye, his tasting the sealant to try to identify it, his momentary despair when Pete tells him that Viking won't reveal how to defuse the bomb and that its all down to him and the clever ruse about the golf match as a signal to Pete. Nitpicks; The first bomb looked like it would have sunk most ships to me and I agree that the doddery passengers hanging about chatting in not overly-worried groups is nonsense! Surely they would have called out a SWAT team to the cash stakeout not just left it to two, frankly incompetent, operatives. Minor points like this aside,the final moment where MacGyver chooses the yellow over the blue, recommended by Viking, is masterly and sums up an episode full of suspense and excitement with a cool calm and competent MacGyver and two good female characters. Ranked in my top 20. Can't quite agree with you about the Mac vs MacGyver and quite like it shortened but I have noted your dislike and make sure I always write it in full! I missed the "Don't slam the door" sign - that's good stuff! And I don't mind if you call him Mac - I only bristle (and barely) when the lady guest stars call him that. Mac could've gone to Vietnam as bomb defusing specialist w/o actually being in the military. He never mentions having a rank, so he could've been in as a 'highly trained civilian,' though, during Vietnam, he would've only been in his 20's. (There's actually a time-goof in 'Target MacGyver' that makes Mac 28 in s1, but later episodes shift it so he's more like 34. I give more detail over here: http://highlander-ii.dreamwidth.org/586937.html) It's a bit of a stretch, but not wholly outside the realm of possibility. The seemingly 'unaffected' passengers are a little hard to believe. At the least, they'd be sitting around talking about the bombs or scrambling to get the hell off the boat. I get that they didn't want that overshadowing the defusing part, but ppl being entirely calm is a little odd. This episode, though, is one of my faves from s1 and it ranks in my top 25. 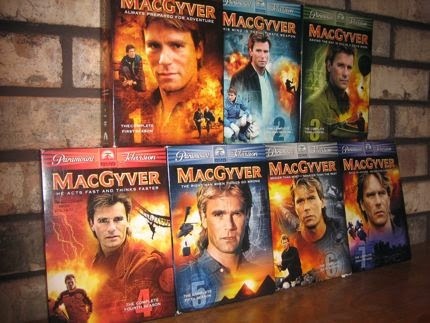 Funny that you mention Target MacGyver - you may see that one on this blog very soon! I noticed the age 28 thing there too (in fact our thoughts on the episode are pretty similar), though I don't remember the age shift in later episodes but I believe you. Another fun scene with Suzanne, pity it’s her last time. I liked the music too, from when she says “it might be safer” to the egg drop, and the few seconds unusual insert in the ending credits music too. I agree that the passengers looked strangely unconcerned and that the Vietnam backstory was strange. Charlie’s been set up really well as a likeable guy, you immediately know that it is to get him killed off. I wish there was a better excuse to lose the tools than inexplicably dangling them over the water but it was cool to see RDA descending from at least 4-5m on the rope. The bombs looked awesome with their sophisticated structure but I don’t know how the air got into Charlie’s one when he sealed the entry with petroleum jelly (and while still had the needle in) but not into MacGyver’s who didn’t (especially when he pulled the tube out which was much thicker than the needle), or why the bombs were to be defused in pairs if there’s enough time to get to the next one. We saw that defusing or setting one off doesní’t affect the other. Taking the money through the back of the locker was clever, and gave Donahue a way to brag (“He’s too damn smart”). I wish Viking’s phone call would have been cut away from before he started telling about the money, hearing it all before MacGyver is told about it takes all the otherwise well-played drama out of Pete’s announcement. The “dog shut” is an interesting term, never heard it before. I liked MacGyver’s golf game tip-off, that Pete immediately caught on and played into it and the “misspent life” in his answer. 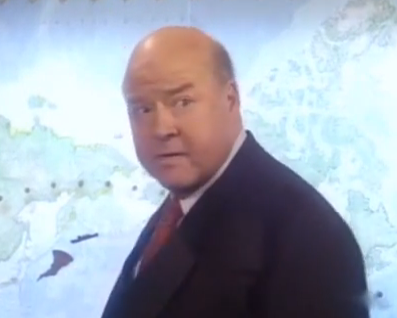 Very exciting climax, I think Donahue wanted the bombs to go off so that they could be examined to track him down. A solid episode, tension and suspense throughout with a calm and focused MacGyver against a strong villain! Thanks for the comment! Have you been watching the reboot at all? They recently had a Charlie Robinson bomb defuser character but didn't feature him very much in the story. I’m following the new show through the reviews here and over at The Phoenix Foundation Podcast as it doesn’t yet seem to be airing in the UK. I checked the IMDB on the 14th of October, and, discounting the one user’s review who gave ten stars out of sarcasm, the average rating of the 100 users’ ones that were up at the time is 2.95 stars which seems to back up those who say that the official rating which is between 4 and 5 stars is paid to be inflated so is not representative of what viewers actually think. Some comments there moan at those who make comparisons to the old show but I disagree. To start with, it’s hard enough to get past the fact that it’s set in modern times as a prequel. Someone brought this up after taking one look at me watching Gotham and my answer was that it didn’t bother me at all as those shows are based on comic books where anything can happen. I think Gotham pulled it off really well. Not only I don’t remember anything incompatible in it with that little I know about the Batman stories but I think it added to them a lot. This “MacGyver” “reboot”, on the other hand, is in fact a remake that kept enough of the original show, such as the names of the characters, to set an expectation of consistency to it and then changed enough of it, like the personalities and the backstories of the the characters, to totally fail to meet this expectation, predictably and preventably ruining the show for the most likely fanbase, those who loved the original series the makers of this new one really look unfamiliar with at times. What a wasted opportunity. I absolutely agree with DashboardOnFire’s guest post. Had this been a sequel with a grandchild, everything in the reboot – the era, the team, the characters (just with different names, obviously), the plots – could have stayed the same without any inconsistency and how awesome it would be to leave the door open for cast members of the original show. I’m pretty sure RDA’d drop in instead of saying what he said about his refusal to appear I can only agree with! I am a regular viewer of "Gotham" and even though I think it's slipped some in the current season, it's light years better than the "MacGyver" reboot. One thing I do not get (and never will) about this one is how the man whom Pete retained to find Viking (Mike Donahue, played by Michael Cavanaugh) turned out to be Viking. I thought from the first distorted calls about the ransom instructions that Viking certainly could be somebody, anybody else, so it threw me for a loop when Donahue was revealed to actually be Viking, and as such, a turncoat. This episode has a rating of 8.3 on IMDb, the highest for a season 1 episode (and a rating The Assassin shares), and I can understand why. While not my absolute favourite episode, it was very enjoyable. There was a lot of suspense (especially if you're watching for the first time) and a relatively clever villain. There are only one or two things that bother me. For example, we never find out the villain's true motives. I can understand he wanted the money, but why was he so determined to blow innocent people up? Once he had his money, why didn't he just leave it at that? There must have have been some underlying reason for his being so destructive.